Instant Glass have been custom making Glass Splashbacks for many years now. It is a beautiful and functional piece of toughened glass that can be added to your home. All our new Glass Splashbacks will be given a 10% Discount. If you are looking for Glass Splashbacks, then you have come to the right place. Instant Glass have been making Glass Splashbacks of many years now. We can custom design to the exact requirements of all our clients. If you are not sure of what would look right, then you can book a free appointment and one of our trained glazing experts will come around and give you the advice you need. We specialise in producing lots of different designs and colours for all types of homes and businesses. This would also be ideal regardless of whether the interior is contemporary or traditional. So, if you are a customer looking for Glass Splashbacks and you are based in Morden, Croydon, Wimbledon, Sutton, Greater London or Surrey, then get in contact with us today on 020 3890 4116 or alternatively, you can make a request via the website. Our customer service team are waiting for your call. Instant Glass is proud to be one of London & Surrey’s leading suppliers and fitters of Glass Splashbacks. Our glaziers are some of the most qualified and experienced fitters in the industry. We will always help deliver an excellent product, quickly and at a competitive price. Instant Glass can help you choose the ideal Kitchen Glass Splashback with up to 20,000 different colour shades. We take safety very seriously, so all our Glass Splashbacks are top quality Toughened Glass which are water and heat resistant. From initial free quotation and visit to delivery and fitting, the whole process is normally completed within 7 working days. Please give us a call today for a Free Estimate on 020 3890 4116. Instant Glass & Glazing supply & fit Glass Splashback for customers in Morden, Wimbledon, Sutton, Croydon, Guildford, Woking, Kingston, Putney, Wandsworth, Tooting, Balham, Clapham and all parts of Greater London & Surrey. We have many customers that have bought Kitchen Splashbacks from us, and the one thing that is very important to us is the quality of service and workmanship that is delivered. As a result of our desire to be number one, our customers have given us a rating of 9.8 out of 10. The rating is based on Price, Workmanship, Courtesy, Tidiness and Time-keeping. Our aim is to reach 10 out of 10! 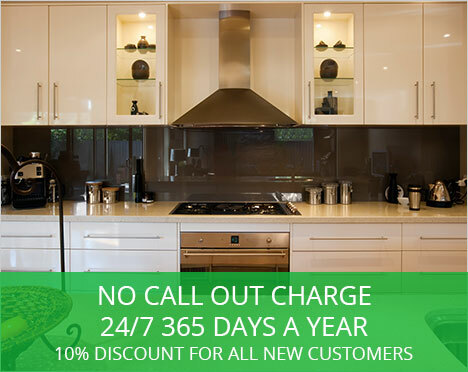 For more information on Glass Splashbacks, please call us today.